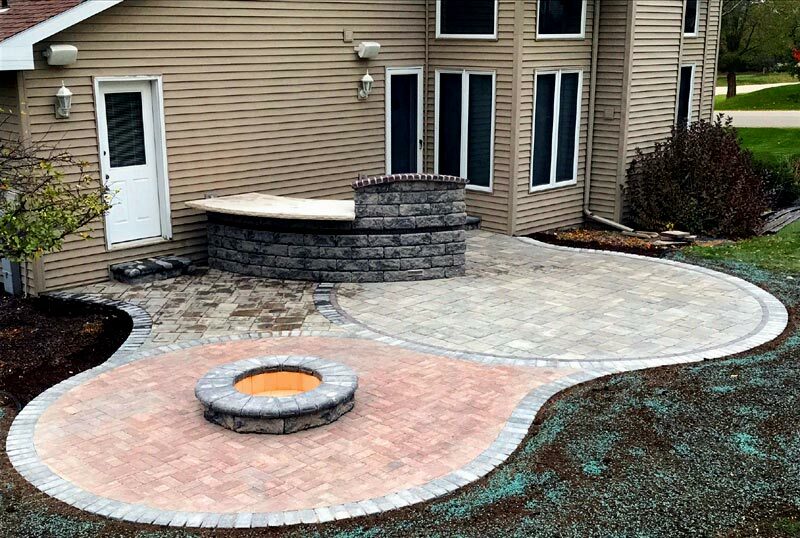 We were fortunate last year at Stonehenge, having had the opportunity to design and construct many new (and some renovated/repaired) hardscapes across the Fox Valley. 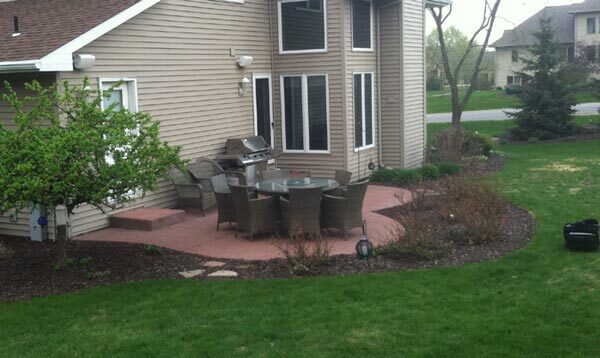 Below is the before picture for a project we tackled in Oshkosh. It was a dyed/stamped slab that had seen better days. As you can see from the above picture, the patio housed a table and chairs for guests as well as a grill, but just barely. 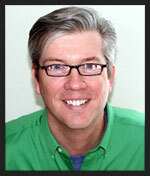 It also included a node that was big enough to walk through, but not big enough to do anything with. Our job was to create a space that better served the entertaining and cooking needs of our client, including an upgrade in how the client entertained…and cooked. 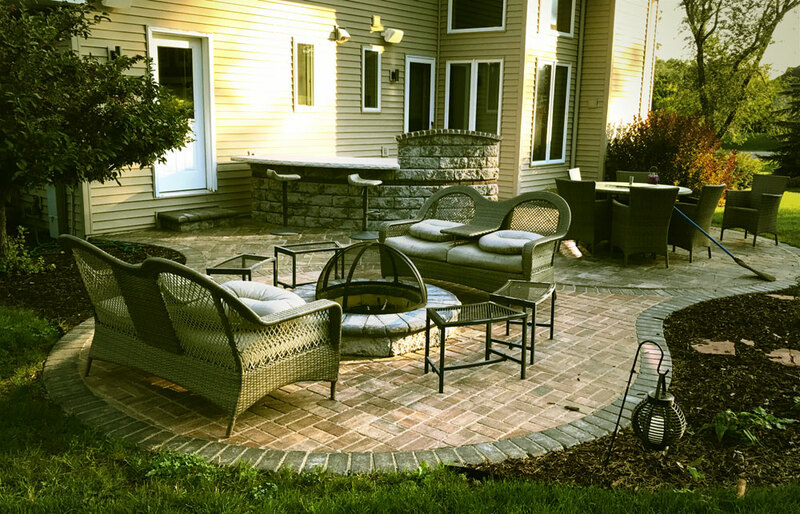 The new patio shown above was constructed using 4 different pavers that varied in size, color and texture to delineate each functional area and to add amazing visual interest. A 2 1/2″ buff limestone slab fabricated to follow the curve of the custom-built grill island provides an informal dining area, and when the meal is done, guests can retire to the fire pit to enjoy the warmth of an evening fire with some marshmallows or a glass of wine.